Is This NYC Startup the First PAAS Company? As hackers get more sophisticated it doesn’t pay to just keep playing catch up while they hackers keep developing new bugs. What we need is a next generation security service that can exterminate the (digital) bugs. 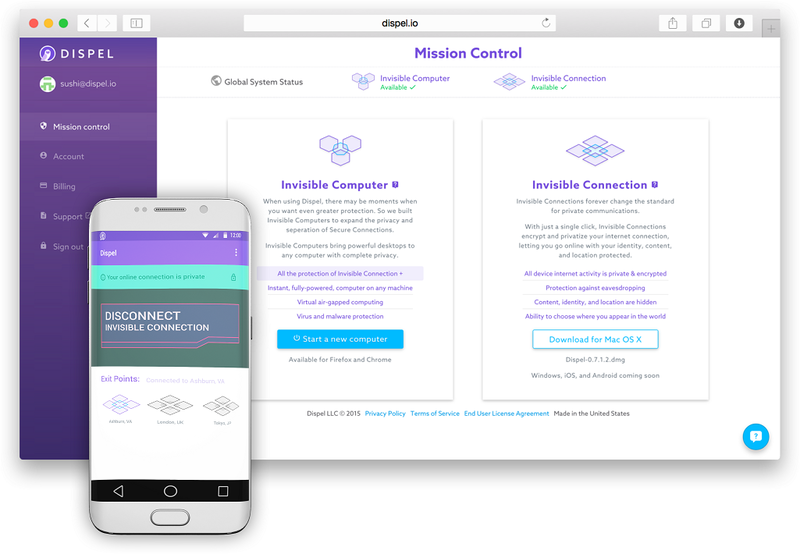 Introducing Dispel, the one stop shop for respecting all of your privacy needs. With their preventative approach they will keep you sleeping well at night knowing that there is not a chance of breach in sight. CEO Ethan Schmertzler tells AlleyWatch about the company’s two years prior to launching and how they are coining the phrase PAAS. 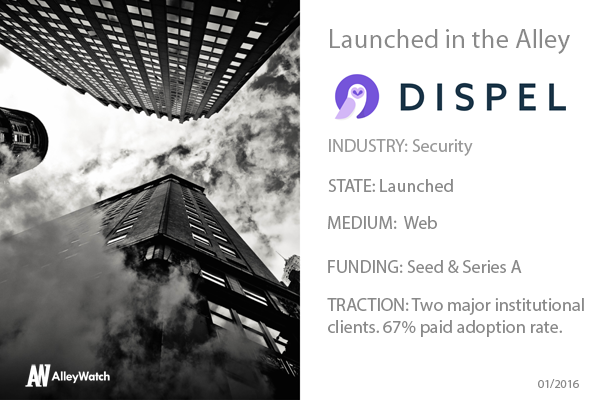 Dispel is a New York-based company whose mission is to build and operate the most capable and comprehensive set of online privacy tools available. With Dispel, users can immediately, simply and affordably regain control of their digital privacy. As the world’s first Privacy-as-a-Service, Dispel protects Internet users from hacking, tracking, stalking and profiling, as well as service denials, infection, eavesdropping and surveillance. Dispel is the next generation of privacy protection, incorporating the best of encryption, anonymization, location protection and more to defeat today’s threats. Today, a single cyber attack can be so destructive that we cannot allow a hacker through one’s network security. Companies can no longer afford to base defenses on stopping malicious code that they’ve seen before. 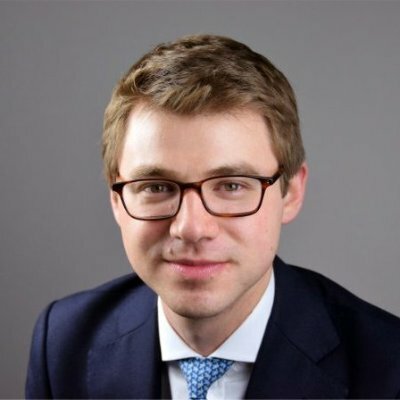 We have to render the term ‘attack’ irrelevant by configuring our networks and the software running on them in ways that make it impossible for an adversary to attack them in the first place. By protecting who you are, where you are, and what you’re doing—whether on an individual or enterprise level—Dispel prevents would-be attackers from even beginning to identify a client’s location or identity through the world’s first Privacy-as-a-Service platform. What they cannot find, they cannot attack. Until now, though, most businesses and individuals have had to rely on the privacy protections controlled by app and online providers, which by themselves are insufficient – cobbled together from slow VPN reseller connections, encryption products and vulnerable, fixed target anonymizer sites. Through the use of dynamically shifting and encrypted infrastructure across multiple cloud providers in multiple countries, Dispel eliminates the ability of an adversary to target, monitor and attack our clients. Online privacy remains a major commercial and consumer concern, with significant unmet need. In 2014, Intel Security and the Center for Strategic and International Studies reported that the annual cost of cybercrime to the global economy is likely to exceed $400 billion and potentially cost 200,000 American jobs. In May 2015, the Pew Research Center reported the overwhelming majority of people in the U.S. – 93 percent – find it important to control who can gather information about them. Yet, less than a quarter of these people felt the organizations handling their data, from government agencies to telecommunication providers or search engines, would keep records of their activities private. Dispel offers three tiers of subscription-based Privacy-as-a-Service designed to meet the needs of a range of individual and business users. In addition to these three standard tiers, for commercial and executive clients, Dispel offers white-glove C-suite installations with customizable subscription tiers, product offerings and support options. Businesses can quickly and simply protect their intellectual property and senior teams by enrolling them through our C-suite offering. On an enterprise scale, we also license our proprietary technology to large institutions wishing to maintain complete control over their own networks and cloud computing resources. For these enterprise clients, the system can operate as a computer or network level installation. We were inspired to start Dispel by earlier collaboration with a major institutional client’s IT group. They faced what was then an impossible security challenge: each of the best available tools was crippled by the same fundamental flaw of relying upon fixed infrastructure. That commonality gave adversaries the advantage of time to exploit when attacking institutions’ networks and people. We took up that security challenge, and sought to turn the tables—putting time on enterprises’ side, denying bad actors their earlier expansive window of opportunity to attack. Tell us about the experience of building a security focused company in New York versus elsewhere. New York is a terrific environment for building a security and privacy company. It has one of the most vibrant commercial markets in the world and some of the world’s most demanding customers. Making a security product that’s fast, simple and easy to use – that suits the needs of individuals and enterprises in New York and elsewhere – has been an immensely rewarding challenge. We develop our product offerings through an iterative approach based on customer feedback. The proprietary engine that powers our Privacy-as-a-Service platform can accept a wide range of infrastructure. We’re working on new and exciting Q1/Q2 service offerings with feedback from early users in mind. We’re all told to use an iterative approach when building minimum viable prototypes. What I learned during our early days was that even early adopters are generally unwilling to change their behavior to use a new prototype. So be ready to build a prototype with the most intuitive user experience possible. We’ve been making strong inroads with biotechnology companies, law firms and investment firms. Being put in touch with the Chief Information or Security Officer at a major banking institution would be a logical next step. These institutions provide the backbone for many Americans’ economic security, yet their proprietary and personal information is protected by outdated fixed infrastructure. In addition to helping protect client data, banks can serve as important influencers for shaping how people think about protecting themselves and their families online. Two words: the network. New York’s rich array of industries offers a trememdous advantage to anyone looking to do business here. Every major institution cares about its security, and the people of New York care about their privacy. So when you have a tool that allows individuals and organizations, small and large, to protect who they are, where they are, who they’re talking to and what they’re saying, via a service that’s fast, simple and easy to use, you have direct access to a remarkable network. Soba Totto. It’s my favorite go-to in Midtown. Solid honest food, down-to-earth, and reminds me of studying at Waseda in Tokyo.